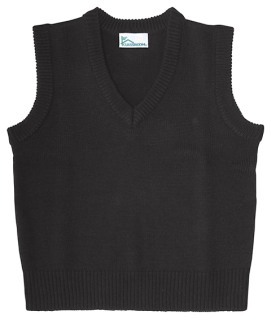 100% Acrylic flat knit Adult sized V-neck pullover sweater vest with ribbed waist. Easy care, machine wash and dry. For Youth sizes XS-XL see style 56912.